Vintage Pearl Crown Necklace Only $4.93 + FREE Shipping! You are here: Home / Great Deals / Amazon Deals / Vintage Pearl Crown Necklace Only $4.93 + FREE Shipping! This adorable necklace is perfect for back to school and fall wardrobes! 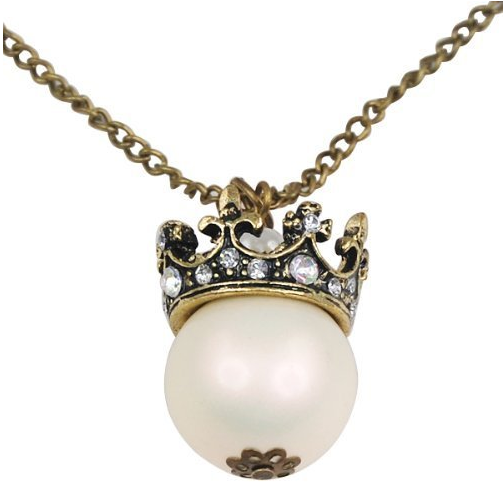 Get this Vintage Pearl Crown Necklace for just $4.93 + FREE Shipping!